This modern tapestry "Alpha Man" shows the work of Acorn studio. Here we see an abstract piece of a male face with calligraphy. The colors are cool and masculine, with blues and blacks. 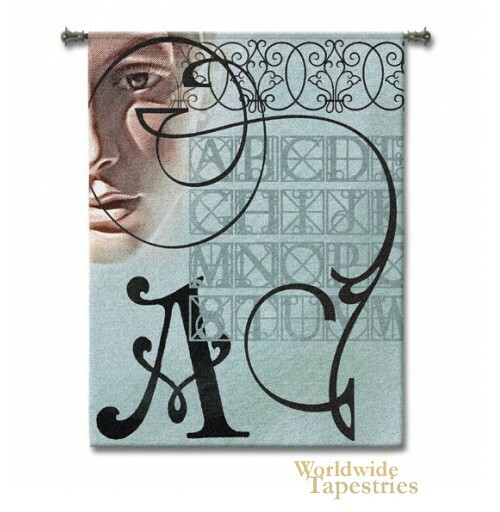 This modern art tapestry "Alpha Man" is backed with a lining and has a tunnel for easy hanging. Note: tapestry rod, where pictured, is not included in the price.